"Holiday! Celebration! Come together in every nation!" Love this time of year celebrating and spending time with dear friends and family, nothing is better than that! 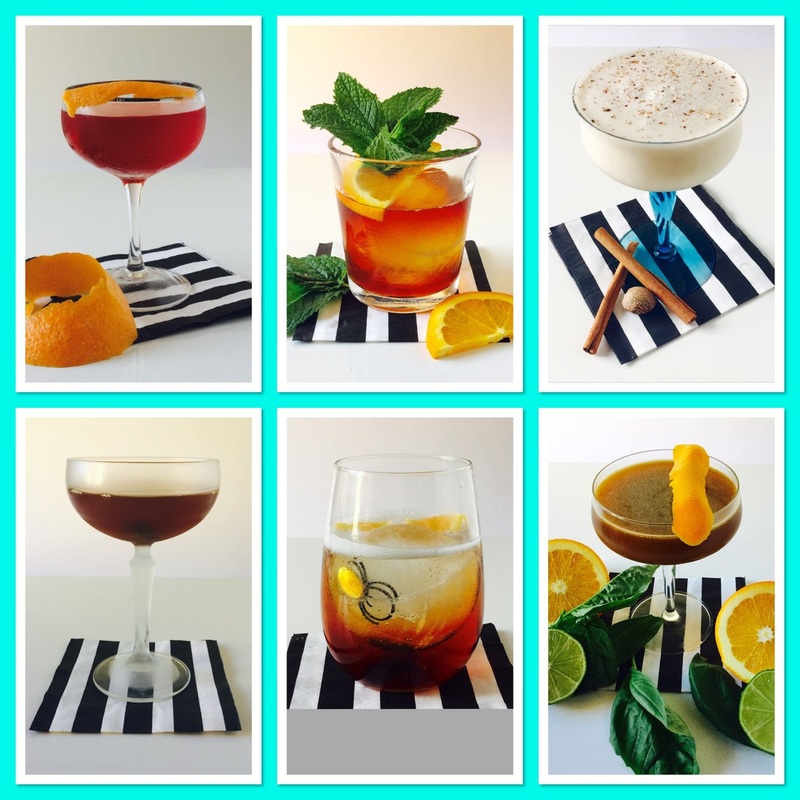 As the holidays are fast approaching it is the perfect time to start to prepare something special for your guests at your holiday party and what better way then with a hand crafted cocktail! Above are six different cocktails to get inspired by! (Top left to right Negroni, The Big Chill, Bees Kiss-Bottom left to right Manhattan, Bitter Bubbly, The Other Margarita). Just scroll down a bit and take a look back on my last six blog posts and read about the recipes and the liquor that is in it...Three of which you will learn the history of how these classic cocktails were made and even the story behind their creation! The other three are my personal cocktail recipes and you will learn how I was inspired to create each of these delicious concoctions. Each post also has write ups on some of my favorite liquors, so go check them out and spread that holiday cheer!